College Flea Markets Bay Area / Oakland (De Anza, Laney, Chabot) 5 out of 5 based on 2 ratings. 2 user reviews. If you try your luck at markets such as the De Anza College Flea Market, you will see that the most curious and compelling things can often be found at community college flea markets in the San Francisco Bay Area. 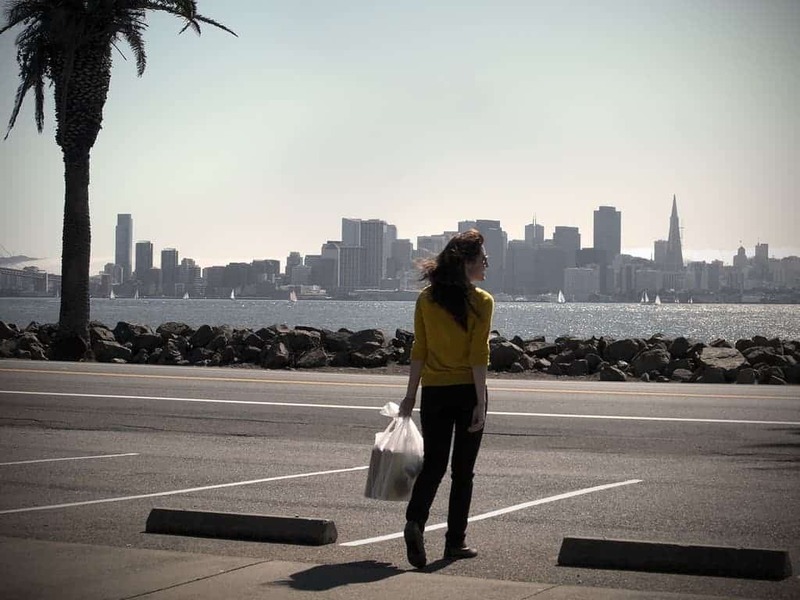 These events – think garage-sale without the garage – are great ways to raise funds for community colleges in the Bay Area and offer locals the opportunity to find bargains and hidden treasures. 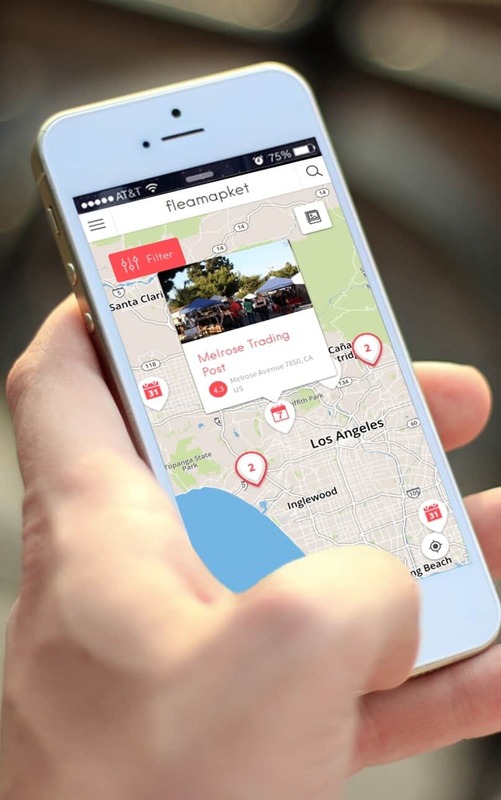 By far the best and the largest market of this type is Cupertino’s De Anza College Flea Market, which attracts over 800 sellers and thousands of visitors. There is also the Laney College Flea Market in Oakland which is an interesting multi-cultural market and the Chabot College Flea Market. Unfortunately, the Ohlone College Flea Market recently has stopped operating. The De Anza Flea Market, also known as DASB flea market, began as a small effort by the students of De Anza College to raise money for the student body over 30 years ago. 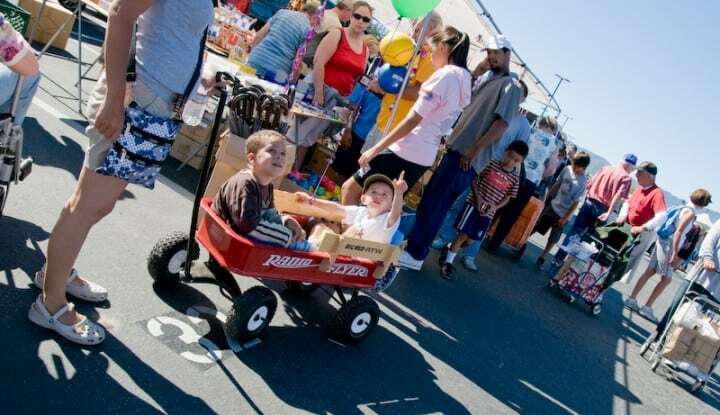 Nowadays, it is an established community event and the largest college flea market in the Bay Area. Every first Saturday of the month, over 800 vendors come to sell their wares at De Anza College Flea Market to up to 20,000 visitors, come rain or shine. The De Anza Flea Market is a great place to buy second-hand goods and rummage through a wide variety of junk in search of hidden that hidden gem. 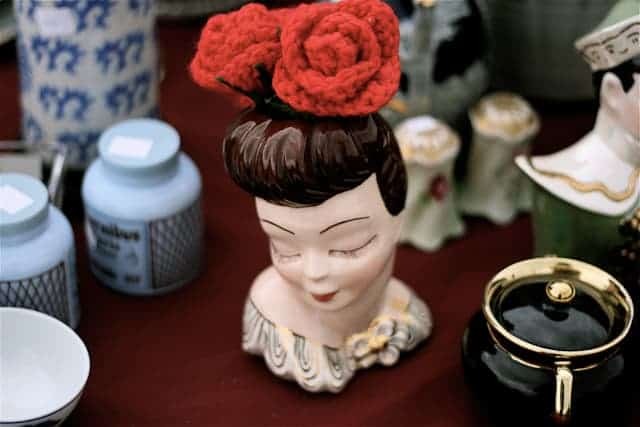 De Anza Flea Market is the perfect place to buy little knick-knacks and trinkets, home decor, vintage cameras, vintage jewelry, belts, purses, kitchenware, to name a few. 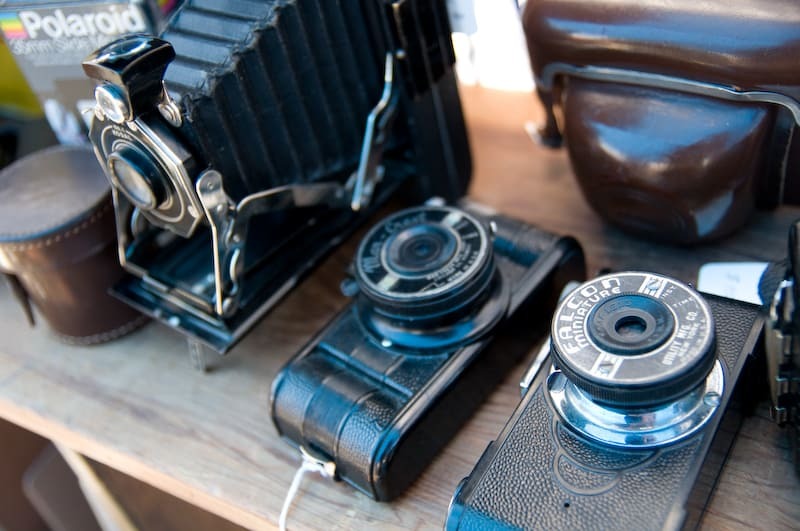 You may find the odd antique treasure at De Anza Flea Market, but first have to make your way through all types of household items, t-shirts, garden gnomes, office supplies, pet supplies and every type of second-hand item you could possibly think of. The De Anza Flea Market is still a student enterprise with the De Anza Associated Student Body paying for all of the expenses and spending the revenue for a variety of programs, services and events at De Anza College. 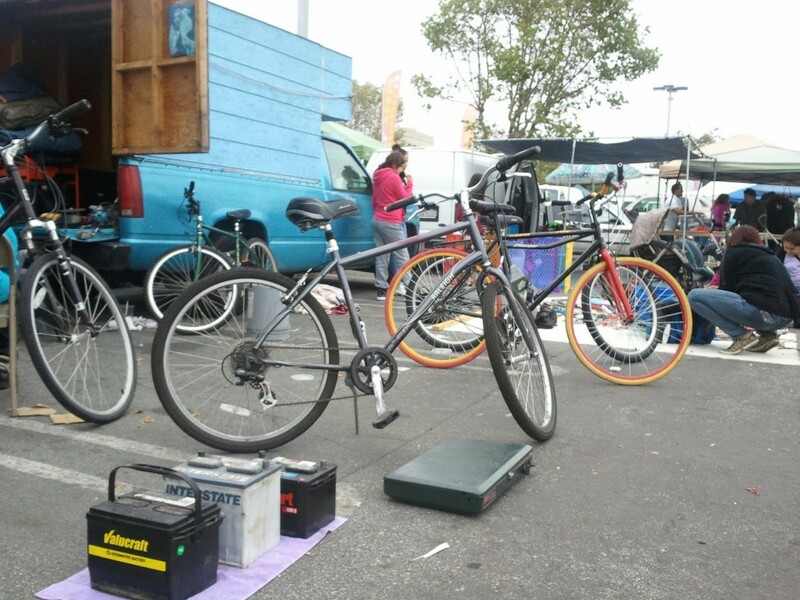 One of the busiest flea markets in the San Francisco Bay, shoppers will find cheap prices that they can negotiate even lower at Laney College Flea market in Oakland. Not only can you find small trinkets to rummage through, but also some high-end items (but mostly new ones). There is a huge selection of bikes and a wide selection of tools. Part of the market charges a $1 admission fee, whereas on the other part of the premises there is free entry. Many visitors go to Laney Flea Market to buy the same type of stuff you would find in regular stores, but at bargain prices that you will most likely be able to beat down even further. Unfortunately, Laney College Flea Market has made a name for itself as a place where cheap knock-offs from China and stolen goods are being sold, similar to the huge Oakland Coliseum Flea Market. However, with a little luck, you may be able to uncover interesting vintage treasure beneath the junk – or your own bike. In any case, spending a Sunday at Laney Flea Market is much more about the entire experience than sourcing vintage or antiques. The market has a multicultural vibe and some fantastic food to eat while you shop – think Mexican corn, fried chicken, Salvadorian food and more. Held only on the third Saturday of each month, the Chabot College Flea Market is definitely the place to go if you are in the mood to haggle and looking for random items for your house or yourself. Chabot Flea Market is not as large (about 300 vendors) as some of the other college markets like De Anza (825 vendor stalls), but visitors can expect to find the usual items sold at that kind of venues: garage sale things, sunglasses, generic clothing, used toys and action figures, office products, old VHS tapes, hats, baseball caps, Batteries, fly swatters, jewelry, stuffed animals, automotive bargains, gardening tools and plants, etc. But don’t expect any real antiques or vintage collectibles. Walking through the entire Flea Market should take you about thirty to forty minutes. No admission to the market – There is parking next to the booths, but it is hard to get a spot from 10 AM on. All in all, College Flea Markets in the Bay Area are the place to go for bargains. If you are looking for vintage fashion, collectibles or antiques, then markets such as the Alameda Flea Market or the Alemany Flea Market may be what you are looking for.